Hereford Palestine Support Group are showing the film: “The Occupation of the American Mind” on Mon 27th March 2017 at St. John’s Methodist Church, St.Owen’s Street, Hereford HR1 2PR. The film starts at 7.30pm and refreshments are available from 7.15. Betty Hunter, Honorary President of PSC, having recently returned from Palestine, will introduce the film & lead Q & A afterwards. The film looks at Israel’s Public Relations War in the United States and is narrated by Roger Waters. It features leading observers of the Israeli-Palestinian conflict and U.S. media culture. Israel’s on-going military occupation of Palestinian territory & repeated invasions of the Gaza strip have triggered a fierce backlash against Israeli policies in many parts of the world – but not in the United States. 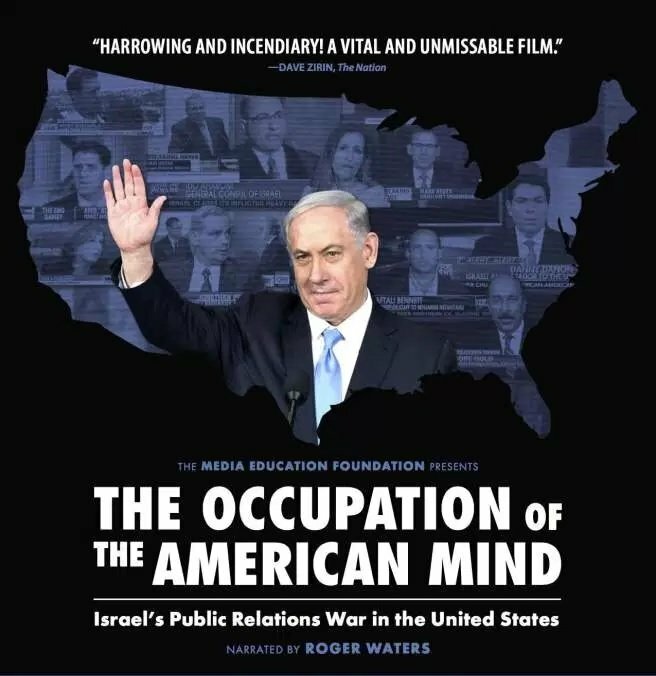 The Occupation of the American Mind takes an eye-opening look at this critical exception, zeroing in on pro-Israel public relations efforts within the U.S.